Whenever a Workflow is triggered, a System Job record is created in Microsoft Dynamics CRM and this will be a burden on CRM database. 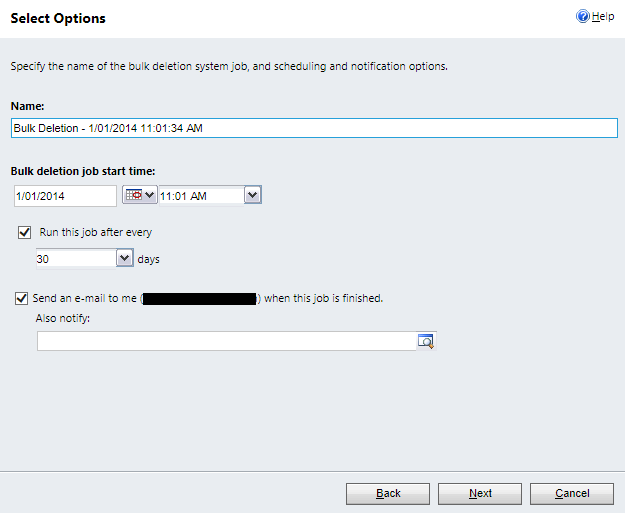 So, eventually Microsoft Dynamics CRM Administrator needs to clean-up the existing Workflow Jobs. 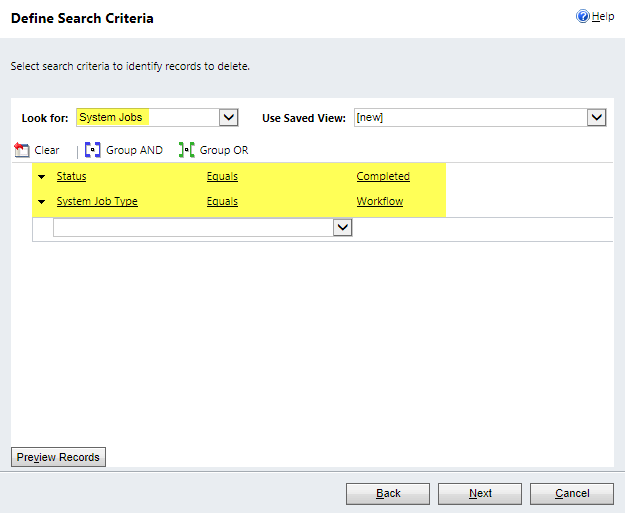 Here, we will explore a very quick and easy way to bulk delete all the existing completed System Jobs created by Workflows in Microsoft Dynamics CRM. Login in to Microsoft CRM >> Settings >> Data Management >> Bulk Record Deletion >> click New to start the Bulk Deletion Wizard. Click Next to set the options such as Start Date and Time, set Number of Days to run this recursively & to send a notification when job is finished. Click Next and Submit it. In some cases, we have to send Email to customers with a Report in Pdf format as an attachment. Once I had the same requirement. To do this, we have to follow three steps. Last to send an Email with the Pdf as attachment. To achieve this, I have written a Custom Workflow. Here is the code snippet to get it done. This code is for CRM OnPremise only. I have not tried in CRM Online. // Note: To get the report name, report must be published for the external use. // To do this edit the report from CRM and publish it for external use. // After publishing it for external use report name will be visible in the reporting server instead of the report id.